Sharks! 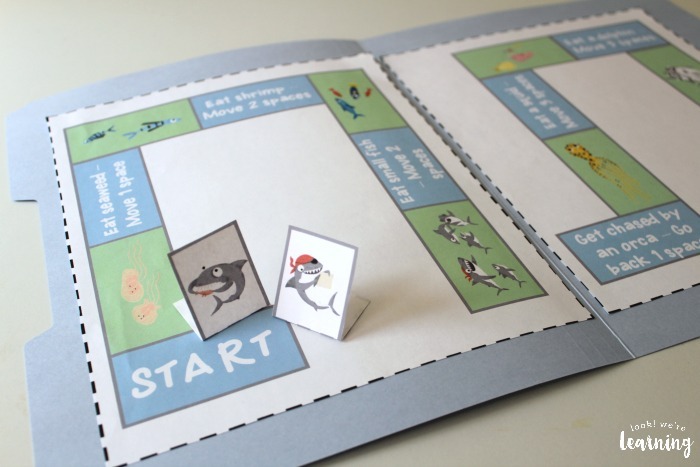 - A Shark Food Chain Game - Look! We're Learning! My kids, like most kids, just love sharks. They are totally fascinated with how powerful they are, how quickly they swim, and how they eat pretty much everything. In fact, I think that last one might be the thing they like most about them. So I was ecstatic to get a copy of the gorgeous picture book “How to Survive As a Shark” from Innovation Press! As we read the book, we learned so many things about sharks that we didn’t know before, including how they sleep and what they eat! 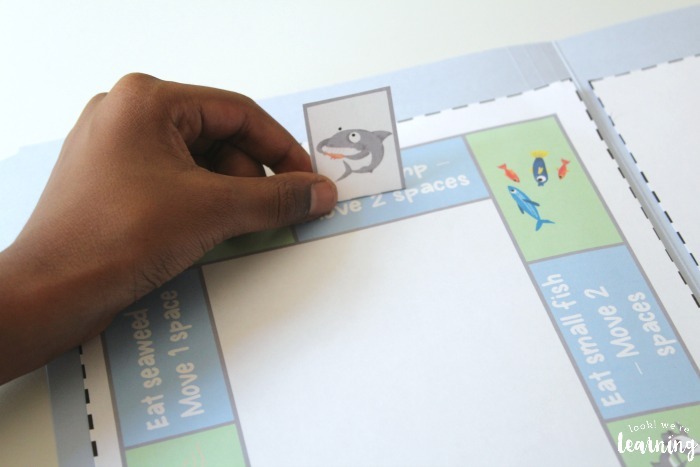 And that gave me the idea to turn the shark’s diet into a fun file folder game! 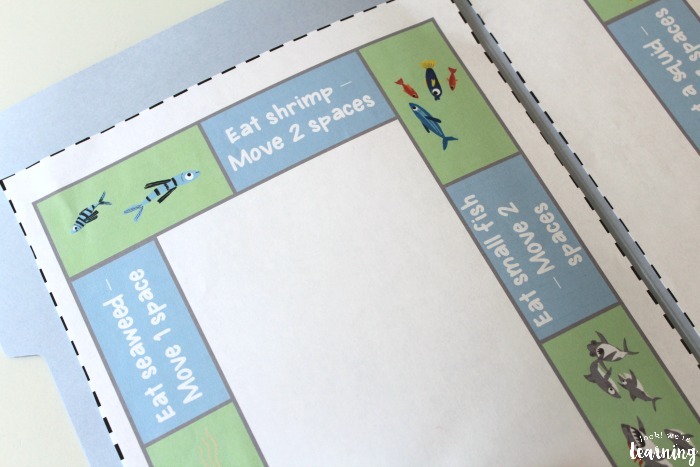 Read on to see how to get a copy of this shark food chain game for your kids! 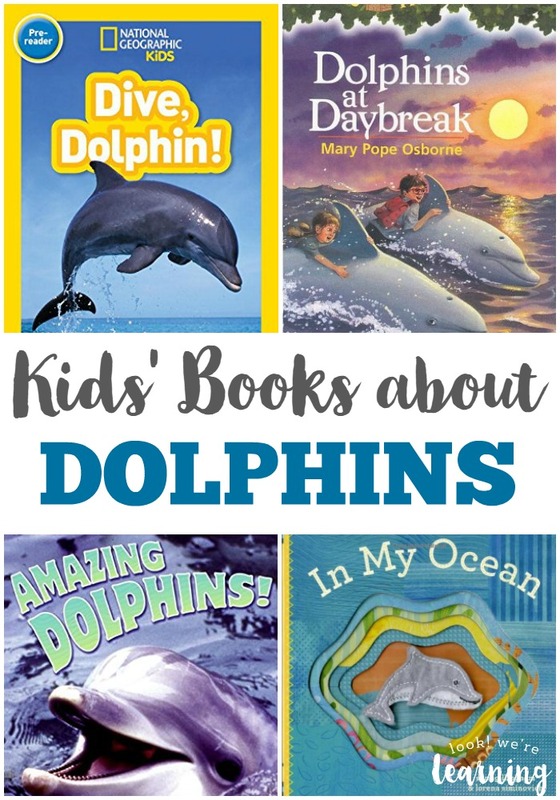 Learn even more about marine animals with our list of beautiful books about dolphins for kids to read! 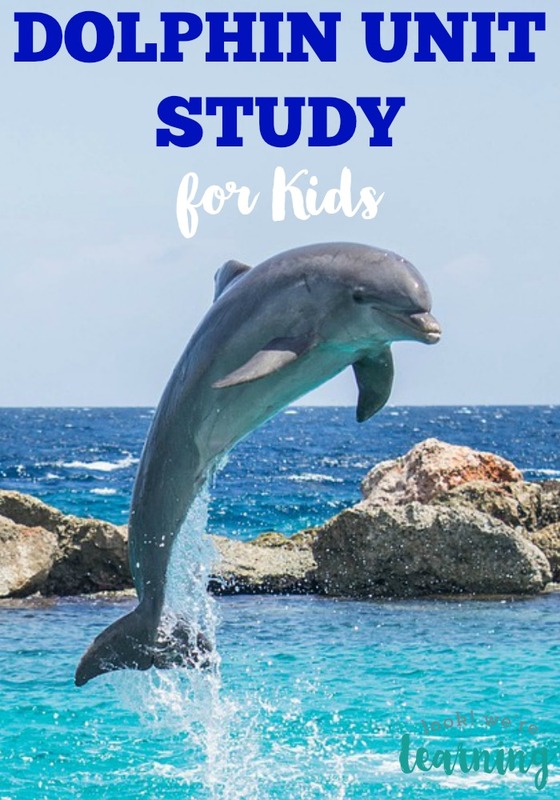 They’ll love studying how these animals survive in such a harsh environment, even when sharks are swimming around! Disclosure: I received a copy of this book in exchange for this post. All opinions are my own and I was not required to write a positive review. Most people (me included) think that sharks are at the top of the ocean food chain. But they’re not! There’s an animal that eats sharks! That was just one of the cool facts we learned from the gorgeous picture book “How to Survive As a Shark” by Kristen Foote and Erica Salcedo. 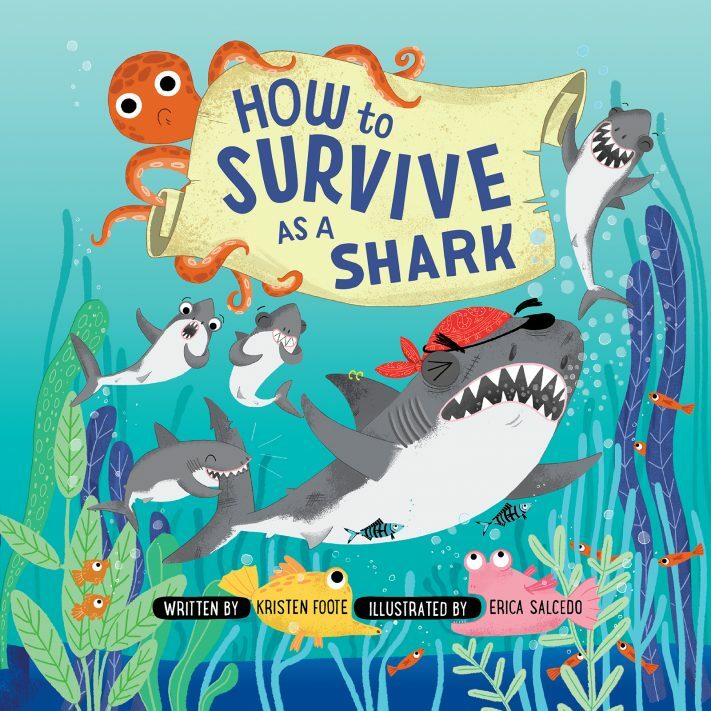 By the way, if you want to get the book for your kids, you can check it out through this affiliate link: How to Survive As a Shark. In this story, a young shark gets taken under the “fin” of an older shark who’s survived some tough ocean battles over the years. He lost his eye in one and wears a wicked cool eye patch as a result. 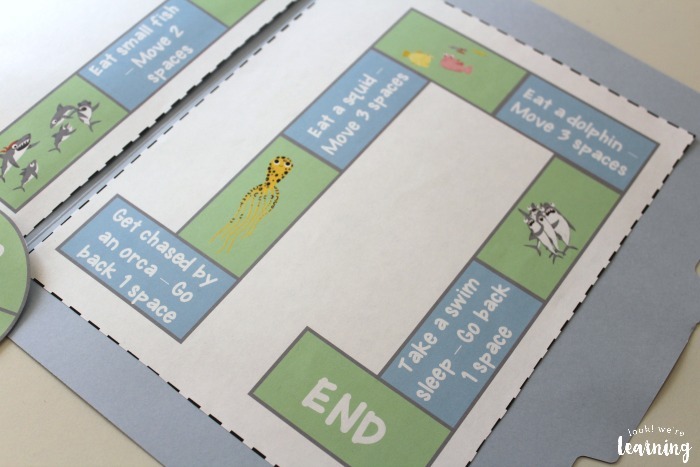 After sharing the story together, we decided to make a simple shark food chain game to help my kids remember what sharks eat. Full assembly instructions are included in the product. Basically, you print the game and glue it inside the file folder. Page one should appear on the left side and page two should appear on the right. Cut out the game spinner (with arrow) and the two game pieces. If you want the spinner to really work well, print it on cardstock or you can glue it onto cardstock after printing. Use the brass fastener to attach the arrow to the spinner and you’re ready to roll! With this game, players take the journey of a young shark from infancy to adulthood. Seaweed is one of the shark’s first foods. As they grow, they consume larger and larger prey. As adults, sharks may eat squid and even dolphins! This game is designed for two players. 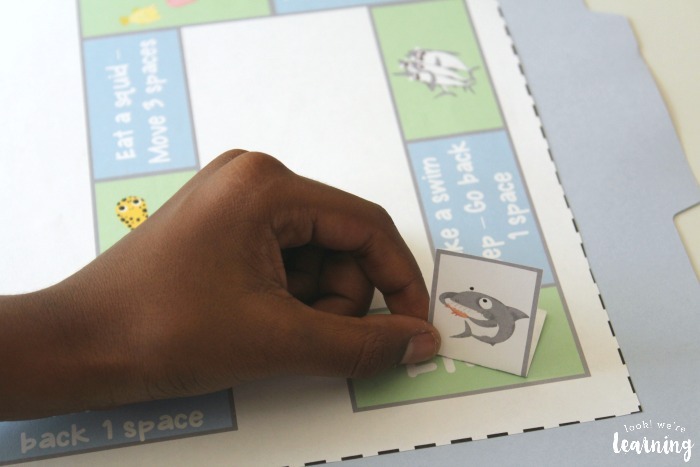 Kids can use the included game pieces to travel the board. The game spinner lets them move from one to four spaces. As they land on spaces with directions, they get to move forward or back. The first one to the end wins! 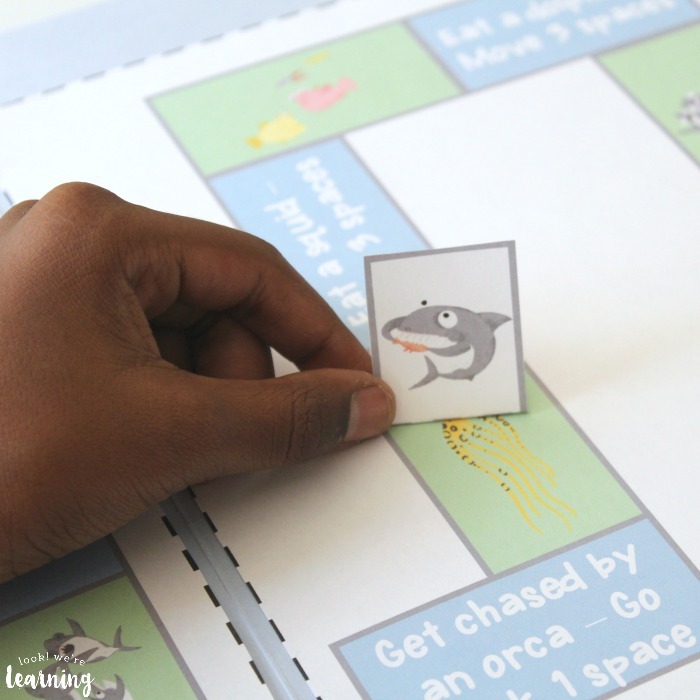 This is such a neat way to learn what sharks eat and it helps to reinforce what they learn in the book in a fun, hands-on way! 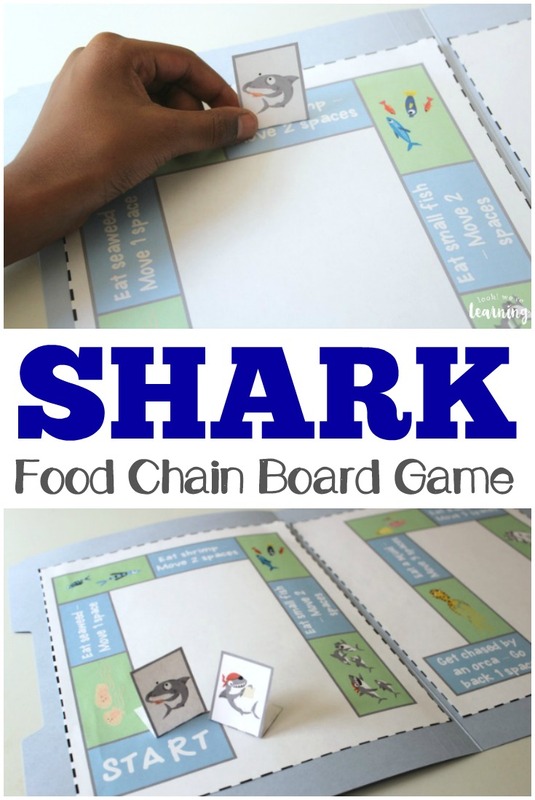 Scroll down to get your copy of our Shark Food Chain Board Game! Try some of these other ways to learn about the ocean! 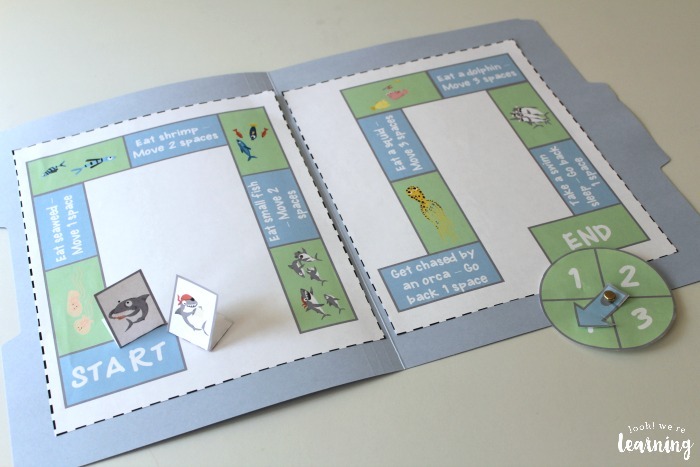 And get more fun science teaching resources on my It’s Science Pinterest board! 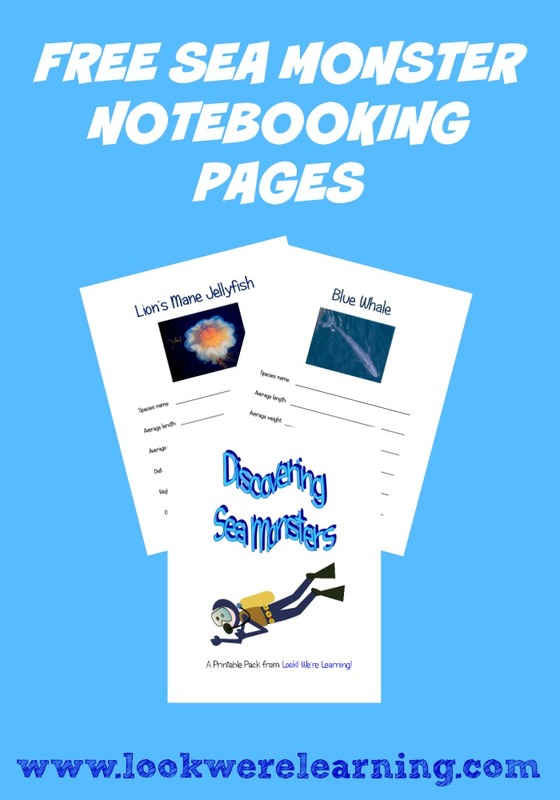 To get your copy of our “Sharks! 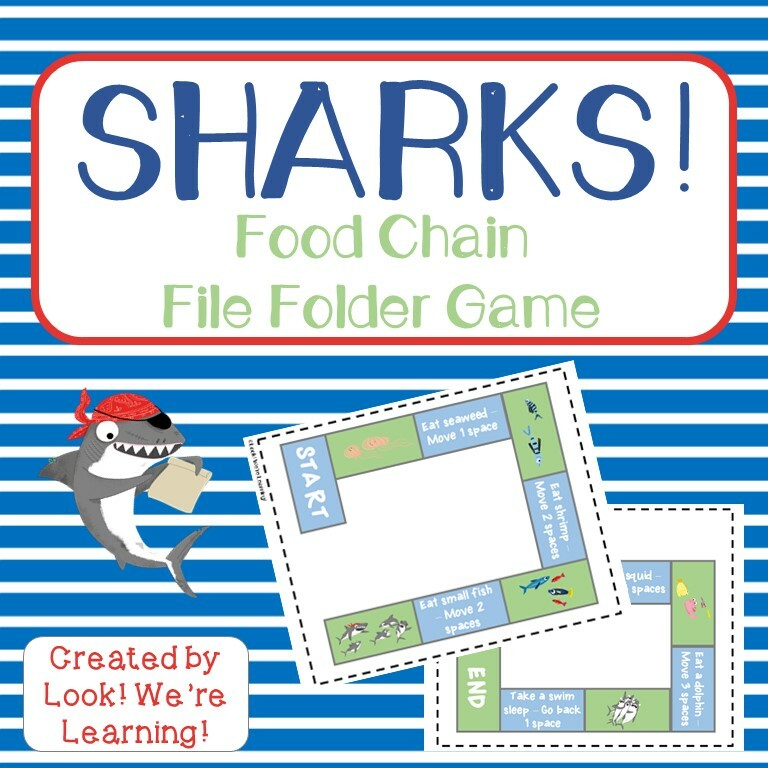 Shark Food Chain Game”, click the image or the link below to visit our Store! 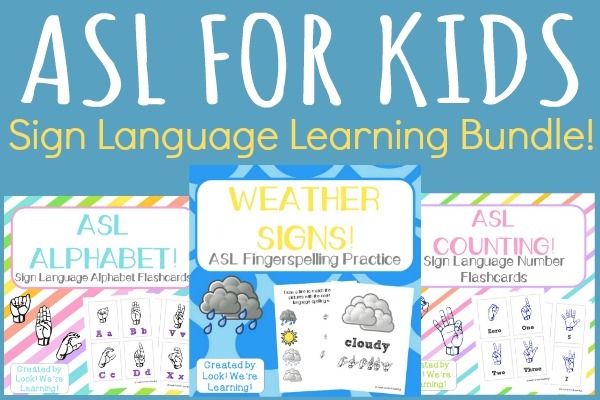 Get exclusive learning printables when you sign up for our email newsletter! Get started with the email widget below.